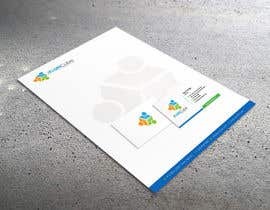 As per corporate protocol, visiting card, envelope & letterhead must be in similar layout & colour scheme. PLEASE CHECK MY DESIGN 5,6 & 7. Uploaded a copy of the letterhead and business cards. The business card format i have ready for you is all set to send to the printing office with bleed lines and markings already in place. All text will be super easy for you to edit and i can even do all of the different business card inputs for you as far as names, numbers, etc.